•We offer full service Italian catering for corporate meetings, birthday parties, bridal showers, weddings, and much more. •We feature traditional Italian cuisine at a reasonable price, using the best ingredients available. Integrity is our reputation. •We also offer a full line of rentals as well as servers. View our online Italian Catering Menu or inquire within for a custom Italian catering menu that best fits your needs. 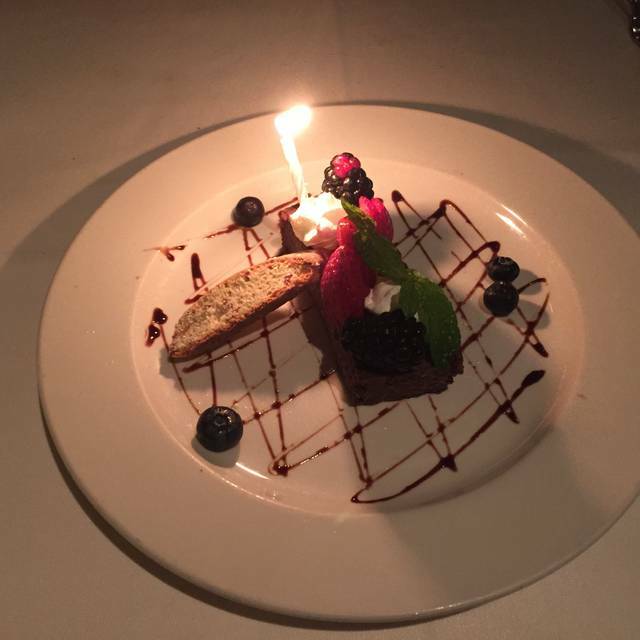 Ask for Chef Salvatore for your special event needs. Whether a small intimate family gathering or a corporate event our Allegria Room will help you celebrate your memorable day. We promise a Delizie "delightful" event. Chef Santiago Gonzalez is at the helm of this South County Favorite. 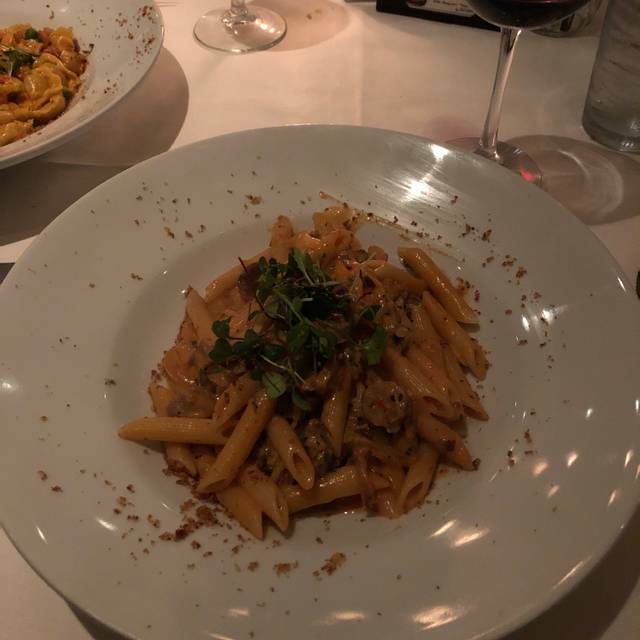 Delizie offers daily specials including homemade pastas, imported Italian delicatessens, and the freshest fish and meats available daily as well as an extensive listing of wines from California and Italy. Delizie also features a full bar and banquet room, available for private parties. toasted Tuscan bread, tomato, garlic, basil, E.V.O.O. meatsauce, mozzarella, ricotta, topped with E.V.O.O. Manila clams, baby clams, garlic, white wine, E.V.O.O. fresh salmon, spinach, sun dried tomatoes, garlic, E.V.O.O. Fantastic dining experience! Looking forward to our next visit. We went to Delizie for Easter Brunch. Delicious food and an excellent selection. Wait-staff was super attentive. They refilled beverages and removed dishes promptly without being asked and everyone had a great attitude. We highly recommend Delizie. It was a nice dinner on Good Friday. It was busy but they handled it very well. Absolutely perfect service. The entire wait-staff were friendly and on top of every need. Delicious food and plenty of menu options. Wednesday's special, Surf and Turf, is a spectacular bargain for a truly fantastic meal. About as close as you can get to east coast Italian food in Orange County. Noise level makes it a bit difficult to have conversation with friends. Always great food and excellent service, this is the third time we have been there for the brunch. Love the atmosphere and the great food had the filet minion and it was cooked to perfection ! Danny the bartender makes the best drinks! The music was awesome too! The food was excellent. Service was excellent. My second time there. Lived in the area for many years but never knew it was there. Would recommend it without hesitation. This is a pretty good neighborhood Italian restaurant. The service was average; nothing exceptional. One of our diners had the sea bass special, which was good, but a bit overpriced for this restaurant. The portions are ample. The noise level is rather high. On the positive side, there was no corkage charge. What a hidden little gem located in Mission Viejo! Stumbled upon this Italian place in Mission Viejo. I can strongly recommend it. Wait staff was 3 per table, and the food was very good. We probably go here once or twice a month for many years, but last night was probably the worst in terms of service. Our reservation was at 730pm, but the 3 kids were hungry so we got there early and got seated so that was nice. The food was the same as usual, but the service was subpar. 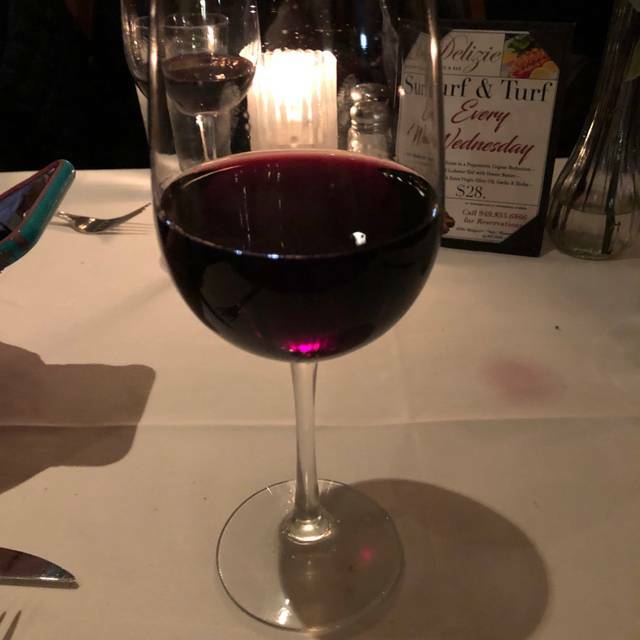 We had to wave down our waiter and asked for everything... we can see our waiter chatting with the bartender while our wine were just sitting there. The food from the kitchen came out pretty quickly. Upon arrival for our reservation, we were offered a seating choice: main area or the "quiet room." We opted for the quiet room which was a typical restaurant setting minus the noise and saxophone player in the main room. We appreciated the choice and were seated immediately. Excellent service the entire evening and we were all very pleased with the food. Calamari appetizer was outstanding! 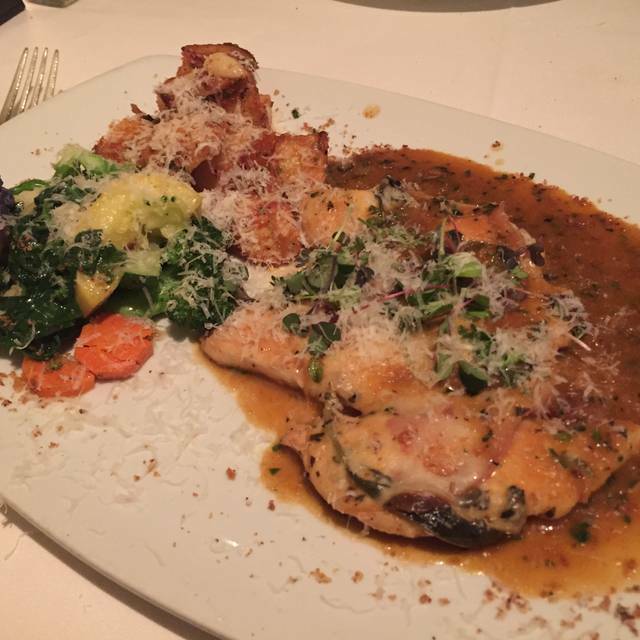 We had Chicken Marsala, Veal Ravioli and Rigatoni Al Forno. Will definitely go back and try more dishes. Excellent food and service. Nice neighborhood place. Chef is very skilled. Always some interesting specials. Great starters, pasta, fish and meat dishes. Super desserts. Easy parking. Servers are knowledgeable, and seem interested in your having a great experience. Service and food quality on point as always. The live music is nice but I feel the volume is a bit loud. That’s really my only constructive criticism. Always love coming to this neighborhood gem! The food is always delicious. Love the salmon and fresh pastas. Great service and the staff is always so warm and welcoming, especially Raoul and Ozzie! We’ll be back soon! My daughter found this gem. Enjoyed tremendously! Amazing service by Ozzy! Great ambiance and will definitely return with more friends! Recommend it highly! Food came luke warm. Very disappointed in that, but I NEVER send anything back to the kitchen. We have been here once before and the food was served nice and hot as it should be. Both visits service was slow, but we were not in a hurry. Enjoyed the live entertainment (Saxophone player). I will try Delizie's one more time before I decide whether I'd recommend to a friend or not. One of our local favorites. Great, friendly service. Excellent food - lots of daily specials. We were in town on business and chose this place because of great reviews and so glad we did. The food was wonderful and the service was great. 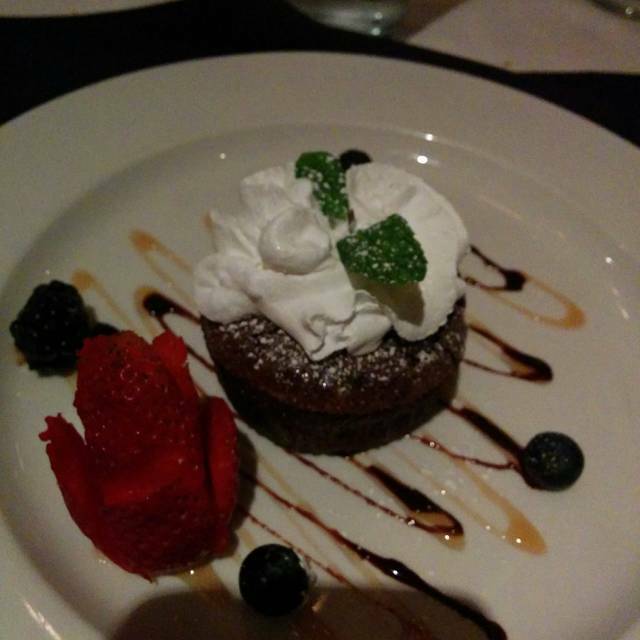 We got there early in time for happy hour (4-6pm) and all ordered dessert which were absolutely divine. The lobster tail as part of the surf and turf special on Wednesday nights was out of this world but the place was soooooooo noisy it was hard to relax. The lobster was out of this world! 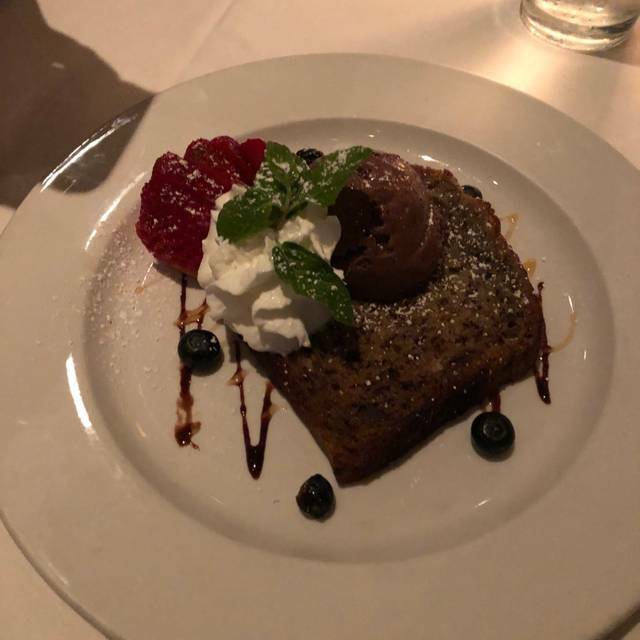 The free birthday dessert was crepe brûlée and was elegant and delicious! Food and service were five star, and the ambience would also be 5 star if the noise level in the restaurant was lower. It was ok but the noise level was so bad that it made it nearly impossible to hold a conversation over dinner. Considering that conversation is the reason to enjoy a nice dinner out, the experience was not ok. The food and service were ok, but I’d expect both to be much better for the price. Hidden in plain sight inside a strip mall near Marguerite and La Paz. Many available tables for a last minute 6pm reservation on a Friday evening. The few other diners and the crowded small bar seemed to be mostly regulars. Reliable service but not engaging. Good wine selection by the bottle. Very limited by the glass. Menu offerings were mostly elaborate with many ingredients. Diners with dietary restrictions would probably ask for many things to be held from the selections on offer. We ate similar selections--salad, capellini with and without seafood, glass of wine--so there wasn't much to compare. All of it was basic, flavorful, very heavy on the sauce. Prices were higher than the quality might suggest. Overall very good. $15 lobster bisque and $35 grilled salmon is pricey for a strip center Italian Restaurant. We will not go back. It was so noisy we could not talk, the service was horrid. Ever since they changed management it has been awful. It was very busy for Valentines Day, but worth the little extra wait. The food was spectacular (as usual) and the service was good as well. Our server (Oswaldo) was busy but took good care of us. Nice restaurant. Very busy because of Valentines Day. Unfortunately both of us got sick from Canneloni in mushroom sauce. Food was excellent only outmatched by our server and the service that she provided. Her name was Jenna. 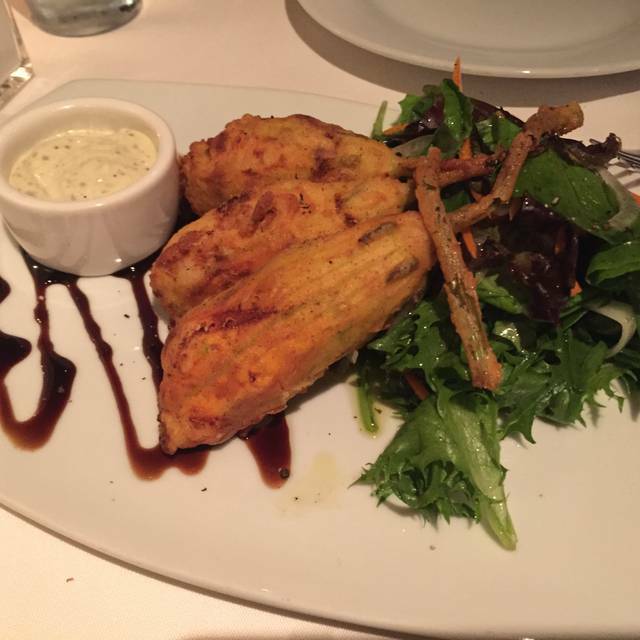 The food here is always amazing, service is excellent. The restaurant was very busy the night we were there and there was a band playing so the noise level was high, but the energy was festive, no complaint from us. 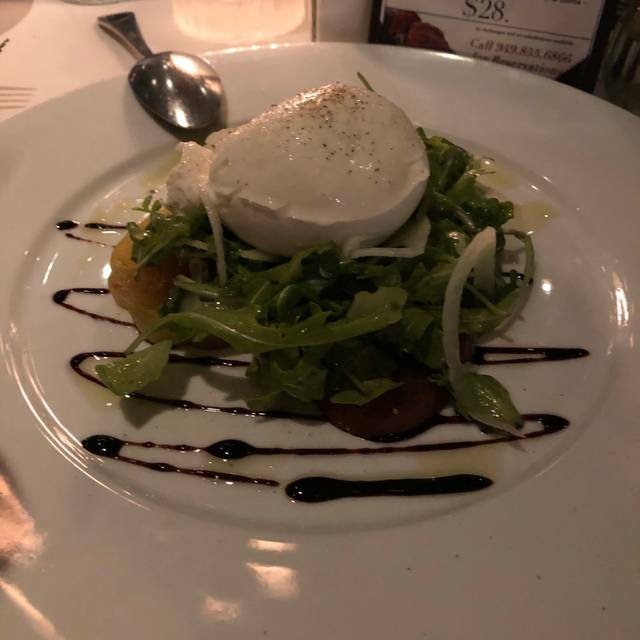 We were not impressed with the meal...buratta salad was uninspired and room temperature and the cannaloni entree was tasteless. The bill for 4 of us was $240 and not worth it...won’t go back. I had only been to this restaurant once, the week before and was so impressed that I came back the following weekend to celebrate my daughters 47th birthday with 8 family members. They sat us in a special room which made it nice for conversation. We all thought the service and food was outstanding and definitely will be returning. If you are looking for a quaint neighborhood style restaurant, then you have found the right spot. Spectacular pasta dishes. The waiter accomodated my request for a special sidedish and had the chef prepare it. It has been some time since. I tasted a red sauce that was so authentic. We enjoy our neighborhood restaurant and their personalized appreciative staff! The guitarist was also very good! Food was very good but the portions were small relative to the price. Service was excellent. The noise level was so high, it was impossible to hear the entertainment. Since we couldn't hear him, he just added to the noise. It took 20 minutes to get drink. After we got our drinks and appetizers the server never came back to check on us. Unfriendly atmosphere never coming back. 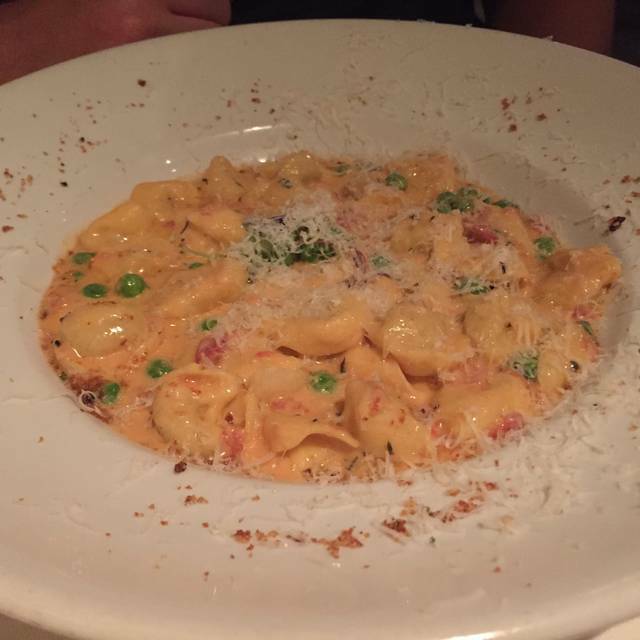 Pretty mediocre Italian food and over-priced. Service was poor. Food orders got mixed up and food not as we ordered. I am neither vegan, vegetarian, nor do I drink, so I couldn't comment on those things above. However, we were there (5 of us) to celebrate a birthday and ordered a bottle of wine that everyone who had some liked. Everyone enjoyed the meat and cheese platter appetizer. We all ordered very different entrees, but from the "OMG, you have to taste this" that went on at the table, we were all very pleased. I loved my pork osso bucco (special that night) and was especially happy because I don't usually get this dish as it is commonly made with veal which I don't eat. It fell off the bone, so tender and moist. It was served with a parmesan risotto and tender asparagus wrapped in a bit of prosciuto (sp?). The "birthday boy" was served a molten chocolate cake with strawberry, blueberry and blackberry that we all got a taste of and it was fabulous. I ordered a cannoli and this is the only place I thought the restaurant fell short. The crust was too thick and not crisp (maybe put together too soon in the day) and the filling was more like whipped cream than sweetened whipped ricotta. A couple others tried it and we all proclaimed the molten chocolate the winner. Service was superb, couldn't ask for better. Will definitely go back. Servings are generous. I apologize for my spelling errors.